Body-Mind Freedom lies at the intersection of therapeutic movement, rehabilitative fitness, hands-on therapy, embodied presence & devotional well-being. My role as both a teacher & a bodyworker is to empower you to heal your body-mind from the inside out. Our primary tools are curiosity and compassion. The ancient wellness tradition of hatha yoga teaches us that the wisdom of the body can be accessed through the realm of pleasurable and intentional movement. Through a conscious examination of our habitual tendencies, both postural and psychological, we cultivate resilience and balance while connecting to a larger purpose. In both my 1:1, corporate and group yoga and meditation classes I offer a plethora of tools that are easily taken off the mat and translated into a life of greater calm, confidence and peace. Healing touch is not a luxury but an imperative aspect of preventative and alternative medicine. As a therapeutic massage therapist whose toolbox includes modalities from both eastern and western healing lineages, I invite my clients into a participatory exploration into empowered self-healing. Softening, relaxing, letting go, sinking into the flow of your body is actually a radical act. The journey of taking care of your body positively affects everyone in your life and, by extension, everyone in their lives, and on and on. Investing in our own well-being is one of the most imperative ways we can be of service to others. Alchemy Yoga School trains the next generation of Sadhikas, those called to the work of inner growth as service to global transformation. By providing the highest standard of training in yogic tools of liberation- the skillful use of the breath, therapeutic body alignment, mindfulness, meditation, healthy communication techniques and advanced wellness techniques, my colleague, Shoshanna Marks, and I create spaces for human beings to come together to explore, practice and experience optimal well-being in alignment with the spirit of nature. 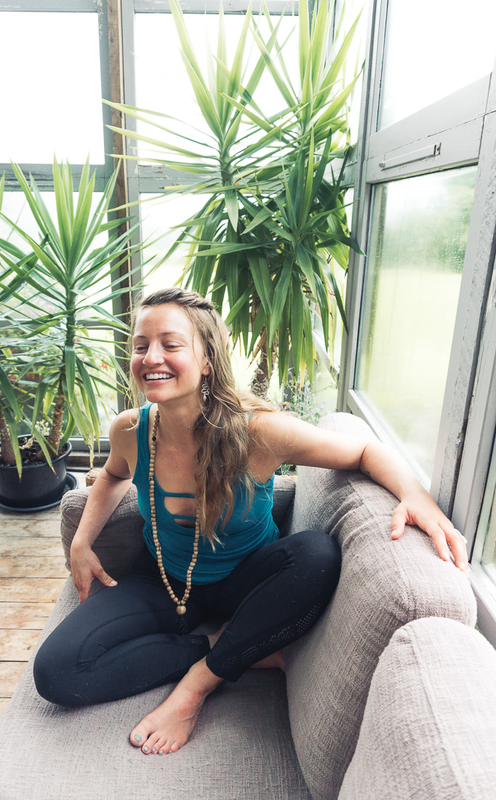 The vision of Alchemy Yoga School is to support others in creating such transformative spaces. Like ripples in a pond, we pass on the teaching we've been gifted with, as passed down through the generations, as a direct offering to our students and teacher trainees and in service to all beings. Spirit is the space where the body and the mind meet. Greater freedom in the body-mind means greater meaning and happiness in all areas of your life. There is no end to this journey, no destination, just ongoing fearless (and very often pleasurable) exploration. retreats in paradise, discounts, yoga teacher trainings & free course offerings.